VETERAN ACTOR AND eight-time Academy Award nominee Peter O’Toole has announced he is retiring from acting at the age of 79. In a statement released this evening, the star of Lawrence of Arabia said that the heart has gone out of acting for him. “It is time for me to chuck in the sponge. To retire from films and stage. The heart for it has gone out of me: it won’t come back,” O’Toole said. The actor, who says he is Irish although uncertainty exists over his actual place of birth, said that he was bidding a “dry-eyed and profoundly grateful farewell” to show business. My professional acting life, stage and screen, has brought me public support, emotional fulfilment and material comfort. It has brought me together with fine people, good companions with whom I’ve shared the inevitable lot of all actors: flops and hits. However, it’s my belief that one should decide for oneself when it is time to end one’s stay. 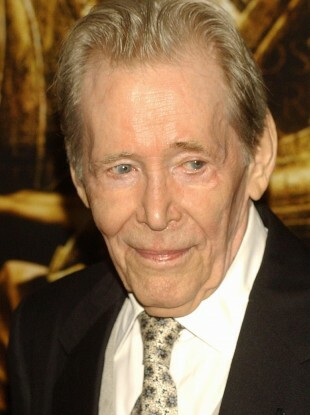 O’Toole was most recently nominated for the Best Actor Academy Award for the 2006 British film Venus. He was nominated eight times in total, for films including Lawrence of Arabia (1962), The Lion in Winter (1968) and Goodbye Mr Chips (1969). Email “Peter O'Toole retires at 79, says he no longer has the heart for it”. Feedback on “Peter O'Toole retires at 79, says he no longer has the heart for it”.